No refunds will be issued after February 16, 2018 for cancelled entries or beers that are not sent in for competition. The World Beer Cup does not offer credits for future competitions. All World Beer Cup entries must be commercially available, fermented malt beverages conforming to the trade understanding of “beer” (see “Beer Eligibility” section below) brewed by a permitted commercial brewery. “Commercially available” means available for sale at retail at the time of registration. Entering United States breweries must have a current Brewer’s Notice on file with the U.S. Tax and Trade Bureau (TTB). Your brewery is fully licensed for the manufacture and commercial sale of beer in your home country. Your brewery is fully open and operating with all required permits. Your brewery currently has at least one beer that is commercially available for sale at retail at the time of application. Only breweries that meet the Brewery Eligibility requirements are eligible to enter beers in the World Beer Cup competition. Breweries in planning, homebrewers and other breweries not meeting these criteria are not eligible to enter. Your brewery has a Brewer’s Notice on file with the TTB (applies to U.S. breweries only). If you own the rights to a brand, but your beer is produced by another brewery, you are still eligible to enter the GABF. The brewery producing your beers must meet the brewery eligibility requirements above. All beers entered in the 2018 World Beer Cup must be commercially available for sale at retail on or before March 18, 2018. All beer entries must possess the characteristics generally attributed to and conforming to consumer understanding of “beer”. At least 51% of the fermentable carbohydrates must be derived from malted grains. Beverages made with malt substitutes, honey, fruit or fruit juices, or anything other than malted grains as the majority of fermentable sugars are not eligible to participate. All beer entries from U.S.-based breweries must comply with all U.S. Alcohol and Tobacco Tax & Trade Bureau regulations, including formula/ingredient approval requirements (as stated in Title 27, Chapter 1, Part 25, Subpart F, §25.55 of the Federal Code of Regulations). Not Eligible: Mead, cider, spirits, hard soda, hard water, and flavored malt beverages including kombucha and most shandies and radlers (see bullet points in “Beer Eligibility” section) are not eligible to be entered in the World Beer Cup competition. 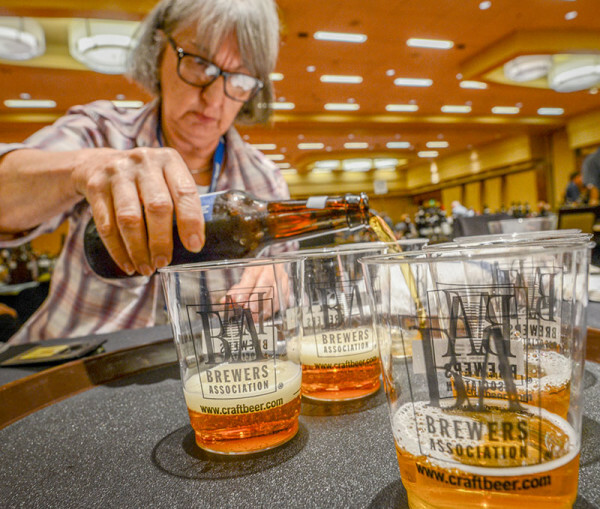 *Brewers Association retains sole discretion to determine eligibility for competition at the World Beer Cup. A non-refundable fee of $180 is due during the Brewery Registration process (October 31–November 14, 2017). This fee will cover your brewery’s first beer entry into the competition. After the initial $180 application fee, the cost to participate is $180 per additional beer brand entered into the competition.